Suede have been unveiled as the opening act for the latest English Heritage concert season Live By The Lake, held at Kenwood House, London on 23rd August. It's certainly a diverse series of events. So alongside the band the Telegraph call 'The Britpop progenitors' (great word!) you have evenings of Opera, Choral Fireworks, Keane and, whisper it quietly, Michael Ball. Fair to say something for almost everyone there. I saw Suede's triumphant Alexander Palace show earlier this year (see this post) and this is, quite simply, a band in it's prime. Not a nostalgia act but a band making great new music and playing it with the same passion and intensity that they had when they burst onto the scene 20 years ago. So what am I saying? Go and see Suede basically. If you like their music then you need to see them live. And if you want an outdoor setting then by the edge of a lake, with "London’s most regal 18th century stately home" as a backdrop doesn't sound bad at all! Head over to our Facebook page, then share and tag yourself in our Suede Live By The Lake poster. Simple. 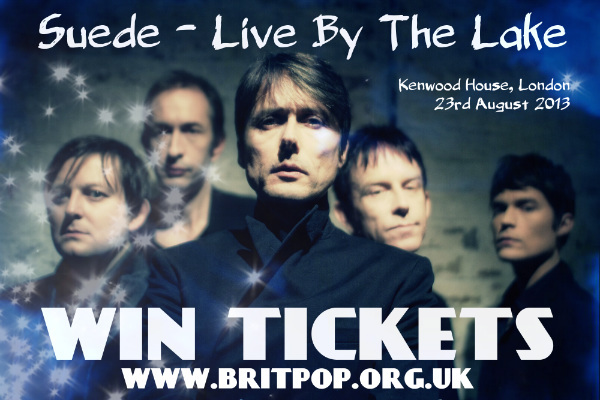 "Win 2 tickets to the Suede @livebythelake gig at Kenwood House. RT to enter. 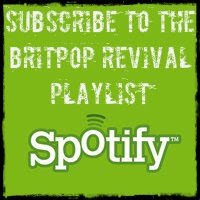 #britpop via @britpoprevival"
If you do both then that's 2 chances to win! 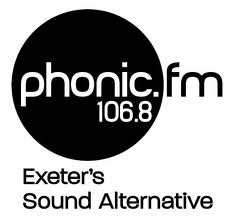 It's pretty simple really - we've got a pair of standard tickets to give away for this gig. That's all. No transport, accommodation or any of that kind of stuff - don't be greedy! The draw is not scientific but it is at least fair. We'll put the names of everyone who enters into a hat and pull out a winner. Winner will be chosen on Sunday 23rd June at 6pm so hurry! There you go.